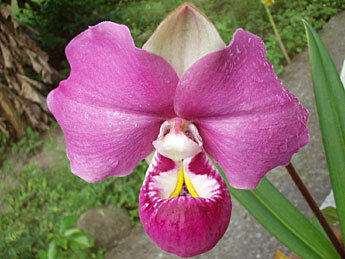 Welcome to a premier site for all kinds of information about the care of orchid plants, Nature's True Gems. Want to learn more about growing these wonderful and exotic plants from someone who has been doing it successfully for over 30 years? Then sign up for our newsletter, Orchidaceae. Let us send you growing tips and more. Enjoy our free newsletter with helpful tips as well as stories and some stunning photos. I promise I will use your email address only to send you the newsletter. This site is a valuable resource about orchid plants of all kinds for growers or aspiring, would-be growers of every level of experience. You will find information on: the different types, specific care, cultural practices for growing different types, help with pests and diseases, how to re-pot and re-bloom these "Gems of Nature" and lots, lots more. Are you ready to learn more about these fabulous plants? I am Melissa and I have been growing and re-blooming these fascinating plants for over 34 years. This site will supply you with lots of information to help you learn how to care for AND re-bloom your these incredible plant friends. Orchids are TRUE gems of Nature. These are stunning plants with over 35,000 different kinds or genera. So, if you are not familiar with them, it can be confusing. They come in all sizes and shapes and cultural requirements for from cool to warm, wet to dry, sunny to shady. Many of the flowers are strikingly beautiful and some flowers can last for months! These are amazing plants and their flowers are an enhancement to any home. They make wonderful and welcome gifts. Often, orchid plants will last for many, many years continuing to bring joy and beauty in to your life and the life of family and friends. If you have questions or need help with working with these plants then I encourage you to become more educated. Check out the many pages of this site for lots of great information. Visit the list of suggested reading or consider purchasing and reading books and e-books to become more proficient with your plants. If you want to be successful growing these plants it is like many things in life. It requires education and experience. The education comes from books, or web sites like this one, or e-books and advice from other orchid growers like myself. Write to me if you can not find answers to your questions. I will try get back to you as soon as possible. If you need to contact me, the best way to start is by using the "Contact Us" page. "The Orchid Doctor" is IN. I am happy to try to give you information if you are new to these plants. Perhaps I can help explain the different kinds of care or give you some suggestions on how to be more successful growing and re-blooming these marvelous plants. I do get a lot of questions and often they are pretty similar. If you have questions first check out the Frequently Ask Questions Page. In addition, you can just click on this link. Ask A Question and you will go to a page with questions (and some answers) that others have asked. Maybe your answer will be there! If you still did not find an answer to your question, then contact me through the contact page, "Contact Us" and I will see what I can do. 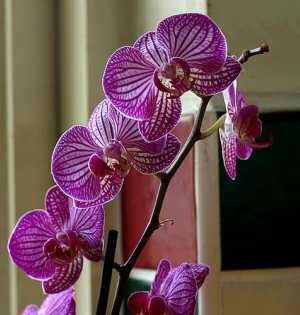 Come Check Out This Site For Help On Your Journey With Orchid Plants!